I love the British Library Crime Classics because all the detectives are clever, suave, well balanced men. All the sergeants are heart of gold, plods who do their work wonderfully well. It all evens out in the end! This one was a corker. Bruce was a promising literary star, but his shine fizzled out and he was overshadowed by his wife Sybilla who after some years was fed up with him but was never willing to do anything about his philandering ways. Not that she was a saint either but each knew that the other would not make the first move. When Bruce on a sudden overnight trip vanishes without trace and his suitcase along with his passport is discovered in a decrepit building the search commences. Everyone of his friends are suspect, his wife cannot be found for a couple of days and there are various suspects which keep popping up. But then they all die, and those that are suspect have extremely good alibis because they have been coshed and are in hospital! A very convoluted drama of a murder mystery with the reasoning behind the murder so complicated that it is almost genius if he could have pulled it off. Sent to me by Netgalley for an unbiased review, courtesy of Poisoned Pen Press. people. Richard a human rights scholar, Evelyn an undocumented immigrant and Lucia who is Richard's tenant and a visiting lecturer from Chile. Moving from events totally disconnected initially with the discovery of a murdered woman in the boot of the car Evelyn is driving, the story moves from Brooklyn to Guatemala to Brazil to Chile. To human trafficking, the reasons behind why people like Evelyn move to a country which is so alien to her that it is doubtful that she will ever adapt to being in America. The stories thrown up by the past are very vivid, very emotional and traumatic but they are the reasons why people will always try to escape regimens of violence, forsaking their own country for the wide unknown. Handled well and fairly forthrightly all the topics in the story were not for the faint hearted but it goes to the heart of the story. Sent to me by Netgalley for an unbiased review, courtesy of Simon and Schuster UK. A story of a very unusual, strong woman for her times. The first half of the twentieth century. Seemingly without a romantic bone in her body Giovanni just wanted to get out of her time warp of a village in Italy. She knew the only way out was marriage and when one came her way, even though she was second or third choice of the handsome Giovanna she grabbed it determined to make it work. Arriving in a land totally alien to her, she somehow managed on the arduous journey by sea to America to learn a bit of English or American as described, just to get by. Her journey, her marriage, her adaptation to the American way of life and to the ways of her husband who though not unjust was bordering on the indifferent would have made another woman unhappy, In Jane's case (which was the name she chose) she felt that this was her path and just made the best out of it. The story runs along the lives of this immigrant family along with many other immigrants in the same community surrounded by Hannah and Fritz whose boarding house they all land in before they find their separate ways. It is Hannah and Fritz who act as surrogate parents to the differing men who have all left their homes to find their fame and fortune in America. Apart from the family saga, the story of Henry Ford is of paramount importance in the story. From its initial beginnings to the very end of this story, Henry Ford created a workforce of such loyalty amongst these people that could I think never be duplicated. They believed in him implicitly that all he did he did for the good of his people, and his country. This was a fascinating story very well told. Descriptive not just about the immigrants and their daily life, it was also descriptive of the Henry Ford story (which was very unknown to me!). Sent to me by Netgalley for an unbiased review, courtesy of Pegasus Books. The story alternates between Hollis and Finn who have now reached an impasse in their relationship at home. Professors and both highly involved in their careers, their marriage is in the doldrums. An opportunity to find a rare manuscript sees them haring off to Ireland. This is where the story gets both interesting and a bit long winded. Trying to get the manuscript is several bad guys and gals and these two innocents are like lambs to the slaughter. They know it is not as simple as it sounds - a twenty minute operation is the description originally but escaping the not so good guys at every turn makes one skeptical. Descriptions of Ireland was one of the highlights of this story on another note! Good story, but it seemed to get side tracked on the way. Sent to me by Netgalley for an unbiased review, courtesy of Midnight Ink. 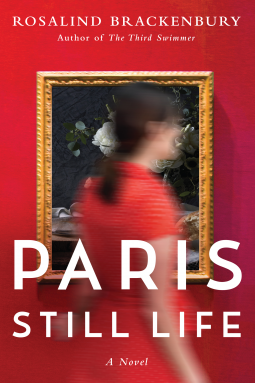 The story of a forty year old married woman who troubled deeply by the death of her father, leaves her husband in America behind much to his bewilderment and arrives in Paris - is it to find herself as they would say, to meditate on life and its meaning and what does she eventually hope to do. Right now she is lucky as she has an apartment (owned by her father) and enough money to live without having to work. Almost immediately she is beset by memories of her father when she sees not once but three times someone who is the image of her father. On all three occasions she is unable to reach him, being either in a bus or somewhere where she cannot access him. On top of that she meets up with her father's mistress whom everyone apparently knew about other than her. This comes to her as a betrayal though the lady is someone whom Gaby begins to appreciate, but slowly. 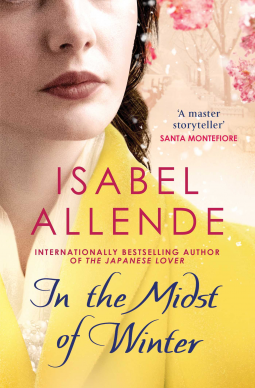 Many characters from her father's hidden double life keep appearing and each one shows another facet of her father's life which he kept well hidden from his wife and family. Gaby taking on a lover adds to her questions. Where is her life going to take her? 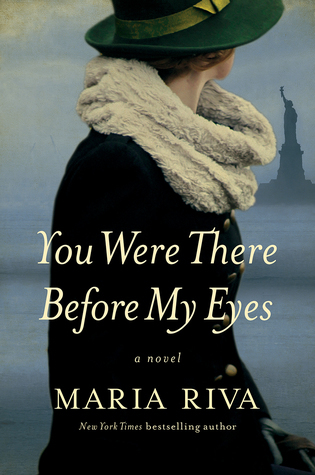 Back to her American roots and her husband or to a new life in Paris. Despite the varying nuances of the story, the story reads as a formal novel. The characters were multi faceted and added to the enjoyment of the story. At the same time it seemed slightly unreal and removed from day to day life as it happens. How many can move from the expected or unexpected death of a parent, move continents, leave a husband, start even temporarily a new life without any clear understanding of where this is taking one. I enjoyed the story very much. It was the unreal, removed from real life bit that I enjoyed the most. Sent to me by Netgalley for an unbiased review, courtesy of Lake Union Publishing. The year of 1282 was tumultuous for both England and Wales were at war. The Prioress Eleanor is on her way home and she has been requested by her brother to hand over the rents and a private letter only into the hands of the Prioress Amicia and no one else. Though curious, Eleanor proceeds to do just that. What greets her at the Mynchen Buckland Priory is chaos and disturbance. The Prioress Amicia has been accused of murder and is under detention and the new Prioress is not very pleased to either accommodate or have Eleanor on the premises. To add to the complications it is her brother Damien who is the preceptor in charge of the brothers who live alongside the priory. The reception of the small party is tense and it is apparent that they are not welcome at all. 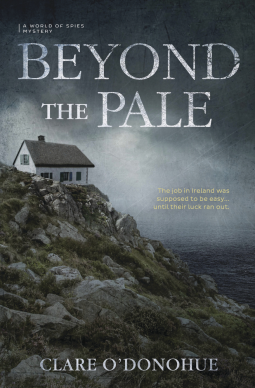 On realizing that Amicia has been wrongfully detained Eleanor is determined to get to the bottom of the mystery and it is only by pretense of being unwell that she is allowed to stay. Unraveling the mystery of not one murder but two under cover of ill health and not being able to move out of her room she is dependent on the faithful Brother Thomas and Sister Anne to bring information to her to solve the puzzle. 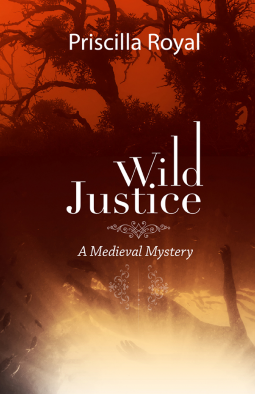 I did not think that I would appreciate this mystery murder set in medieval times. Surprisingly I did. The setting and the story of the priory was an interesting one and did not weigh too much on religious aspects but on the story itself. Murder is murder whatever century it happens and solving is very much a procedure of investigation and deduction. Very nicely put together. It is 1920 and for girls like Louisa the future is bleak. Daughter of a washerwoman her way out of this drudgery is service in a respectable house. Nothing more than that. To add to her misery, her mother is ailing and her uncle who should have been a protector in the absence of her father, now seeks to sell her to the highest bidder as he has got into debt. 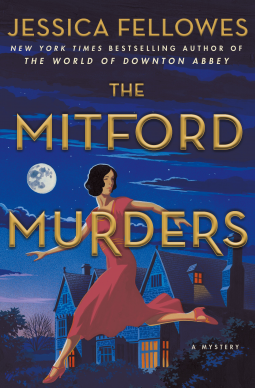 Louisa escapes his clutches and ends up in the Mitford household. A large house with a number of children, Louisa is happy for once in her life. She is content with her lot, feels safe, is not hungry and thinks that life is good. However she and Nancy the eldest daughter of the house gets entangled in a murder of a lady on a train and despite not wanting to get further involved knowing that her word will have no hold with the gentlemen of the law, both she and Nancy who will not give up get into the case more and more. Investigating independently and being much more successful along with Guy a railway police young man whose thoughts are also ignored by the higher ups they more or less solve the case with good deductive skills and thorough slow investigating. This was the first novel in the series and I look forward to the next. 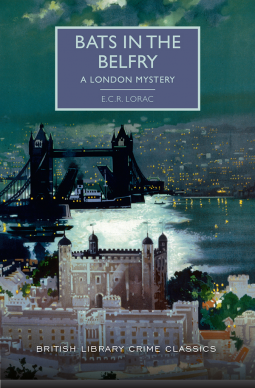 This particular story apart from the murder and solving of the crime, depicted in great detail the lives of the aristocracy and the lives of those who lived and worked for them. It also showed the position of women at the time, which is not saying much. Two mothers linked by a strange link. It was a bit too slick to be true but at the same time the story was so well put together that I did enjoy my first read from this author. Emily is Hannah's much loved daughter. Maddie is Olivia's much adored daughter. Emily dies in a tragic car accident and her organs are donated by Hannah to various receipients. Fast forward Maddie is just weeks from dying if she does not get a new liver and it is timely for want of a better word when Emily's liver becomes available. The two families live in widely disparate worlds. Hannah is a single mother, successful and upto now managing very well on her own. Olivia is in an abusive relationship and though on the surface having everything material available to her and her daughter, she knows that this is not the way to live. She has no choice though, with Maddie so ill and needing so much she in a situation she cannot get out of. The story goes on and with their eventual meeting, accidental and not contrived and the eventual realisation of who each person was. 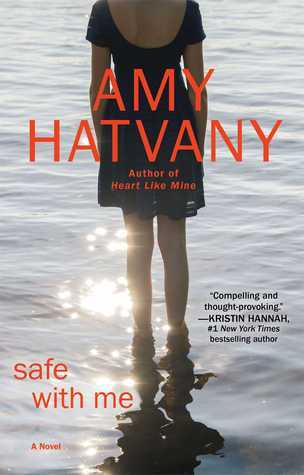 The near death escape by Olivia from her husband is the catalyst that sets her and her daughter free and it is a happily ever ending of a kind though for Hannah her life has changed completely and will never ever be the same. Emotional but not overpoweringly so read. From the Glen Waverley library and my last book from them till the next time I come to Melbourne. My second read of this author though I have been having her on my TBR for quite a while. The setting is almost village like though it is just outside New York City. Everyone knows everyone and everyone's memories last a lifetime and beyond. Maggie has returned to the Hollows and is a psychologist. She is very anxious about her clever son who seems to have drifted into a life of aimlessness, not even thinking of his future and college. His girlfriend is not someone she would choose for him but she is trying desperately to be fair and not comment, Her disappearance puts the entire family on the spot though her son Ricky's alibi is rock solid as he was at home throughout. Ricky's father Jones is the lead detective on the case but Maggie sees anxiety and vibes not quite right in her husband. 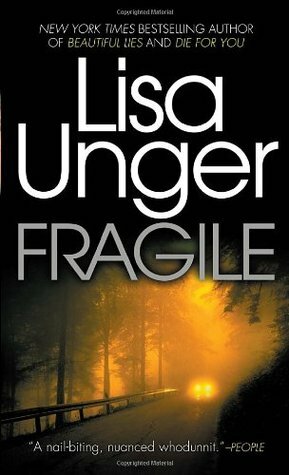 Multiple characters and a story and a mystery murder that went almost unsolved thirty years ago is remembered when Sarah a classmate of them all went missing, and then later her body was discovered raped and abused. Why these two very different cases are linked and how they are linked is the story in this book. Long hidden ghosts in one's past dont stay hidden and in this case they certainly dont. It will tear apart the entire town, outlining a past that all of them will prefer to remain hidden. Though dormant it has affected all of them and not in a good way these past years. For some it is a relief that it is now out in the open for others it is the end of the road for their lives as they knew it. Well written with a wide cast of characters all different, this was a good read. Courtesy of Glen Waverley library.